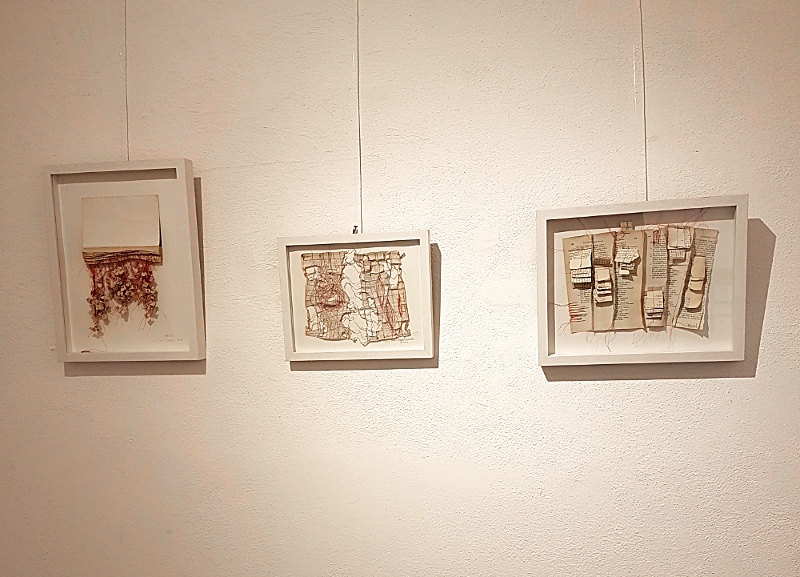 Here are some impressions from my recent exhibition “Papier. Los!” (Paper. Go!) 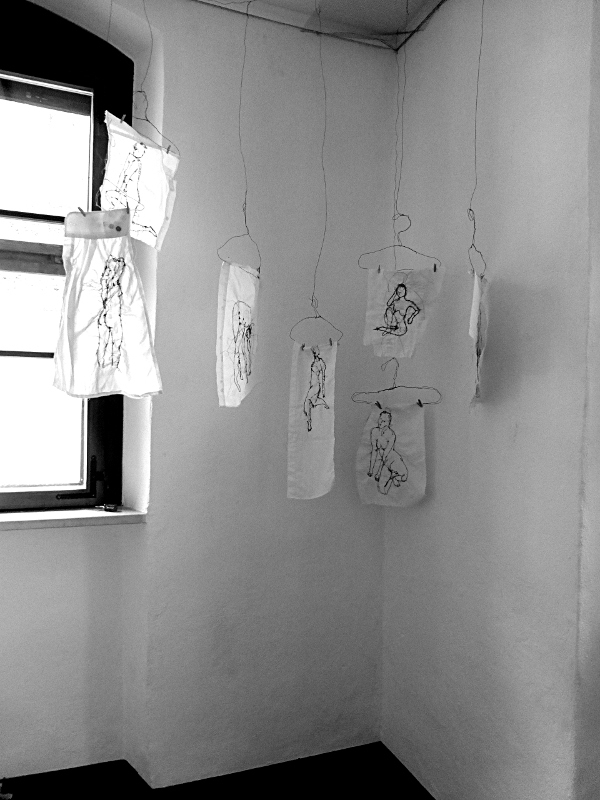 at the Old Jailhouse in Freising. 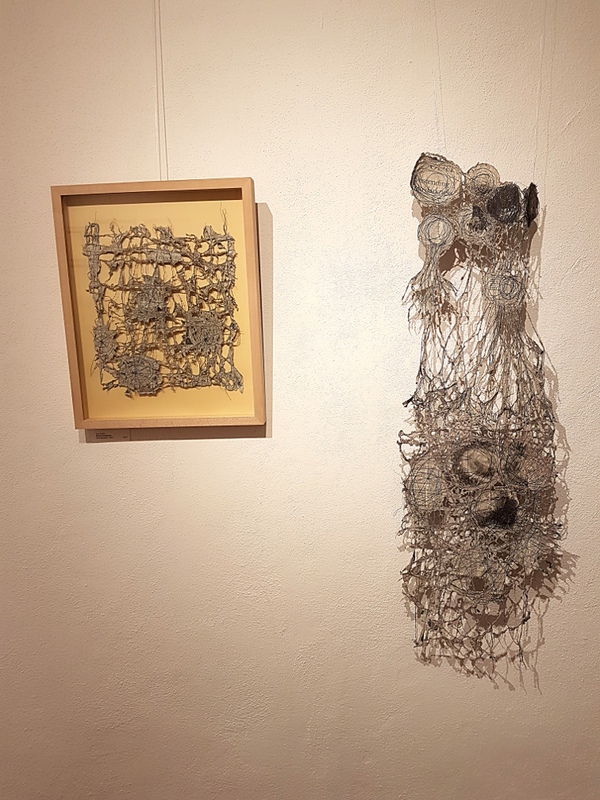 From Jan 27 to Feb 4 the space was filled with works from paper. 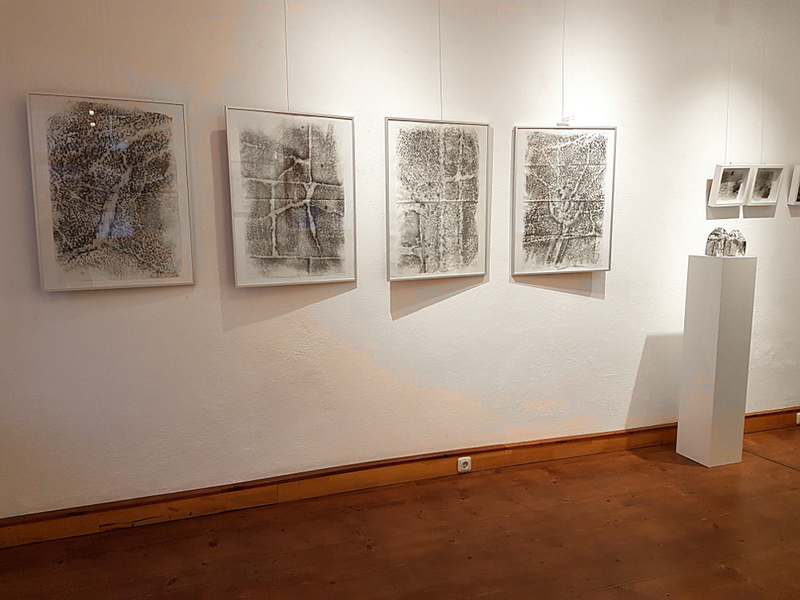 I was there with my artist friend Eva-Maria Bischof-Kaupp, who presented new drawings and prints and many threedimensional pieces. 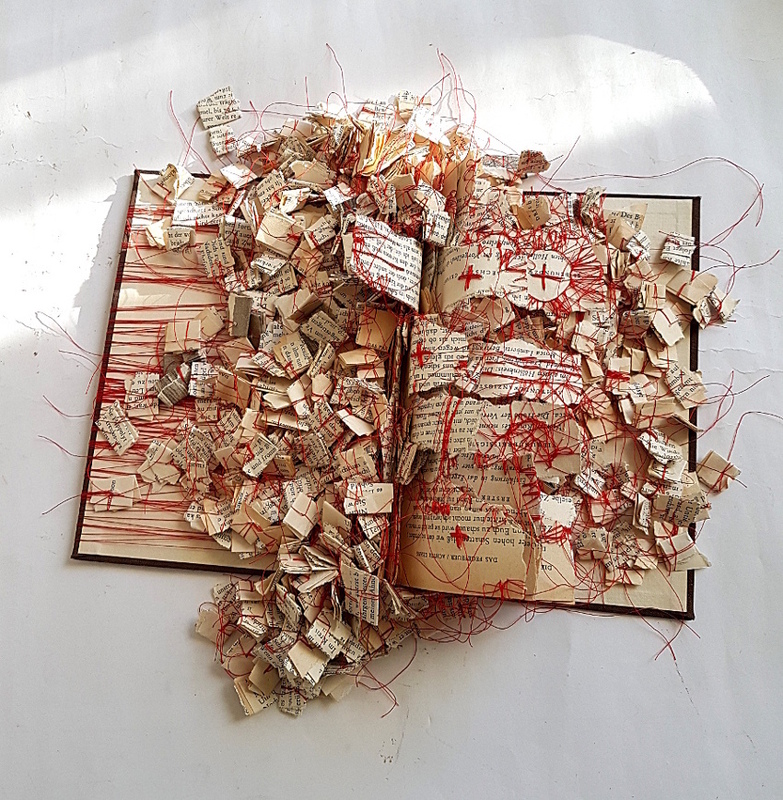 I showed works with altered books, especially Dante’s “Divine Comedy”, new pieces from newspaper and also the recent occupation with cracks in the road that I conserved on paper. two news shapes. Ines Seidel. shape of a mystery. Ines Seidel. 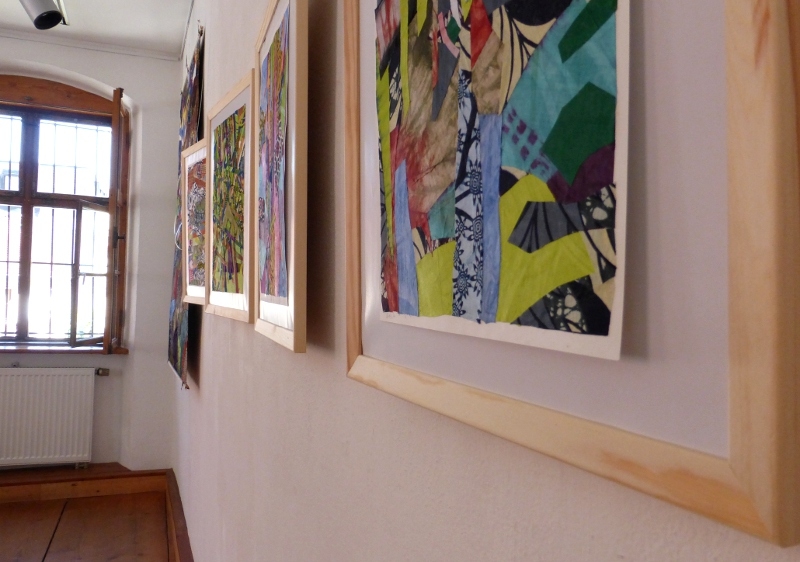 The annual palace exhibition of the association of artists in Dachau has just been opened. 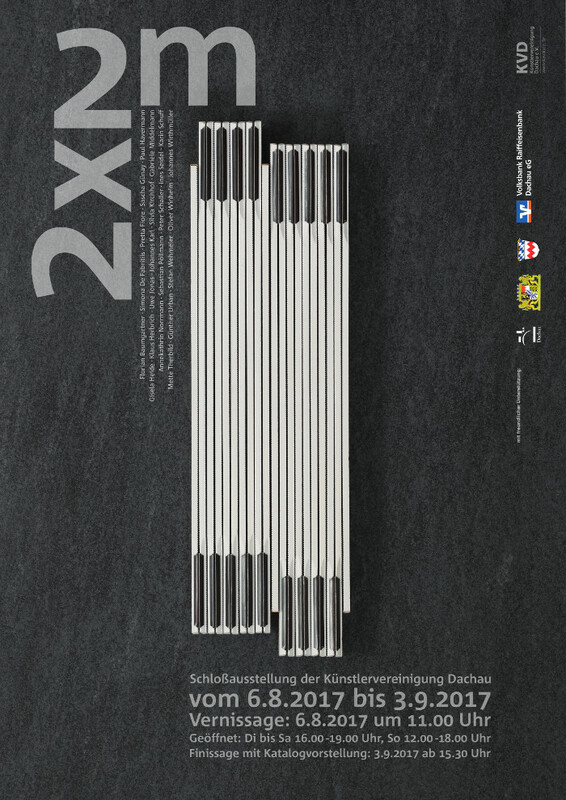 I had been invited as one of 21 artists to show one piece that relating to the theme “2 x 2 m”. To comply with the rules, I filled a 2 x 2 m space with newspaper bowls. 251 of them were needed. As I wanted to connect these news containters into one form, I stitched them together and created a news shape. 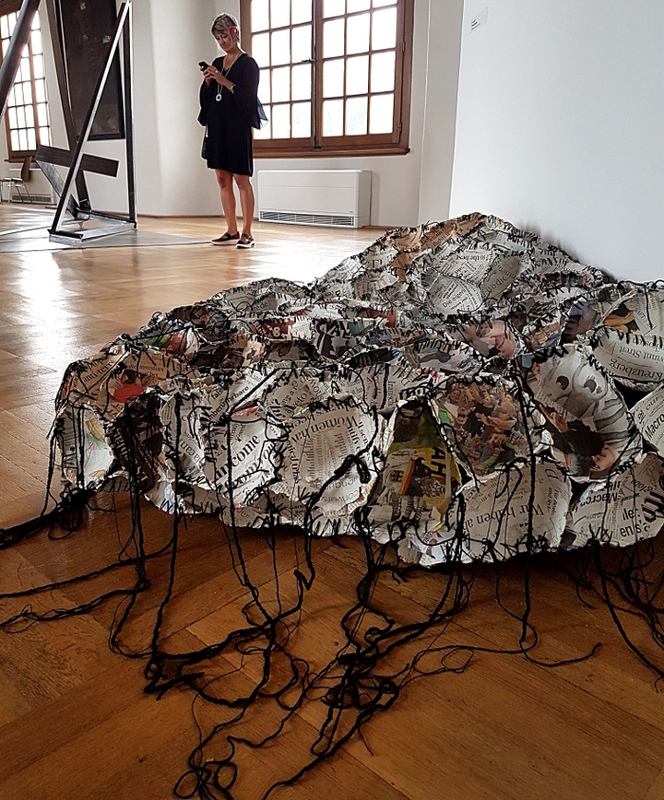 Its dimensions are roughly 1,5 x 1 x 0,5 m.
The news shape, paintings, installation and video art can be seen at Palace Dachau until Sept 3 2017. 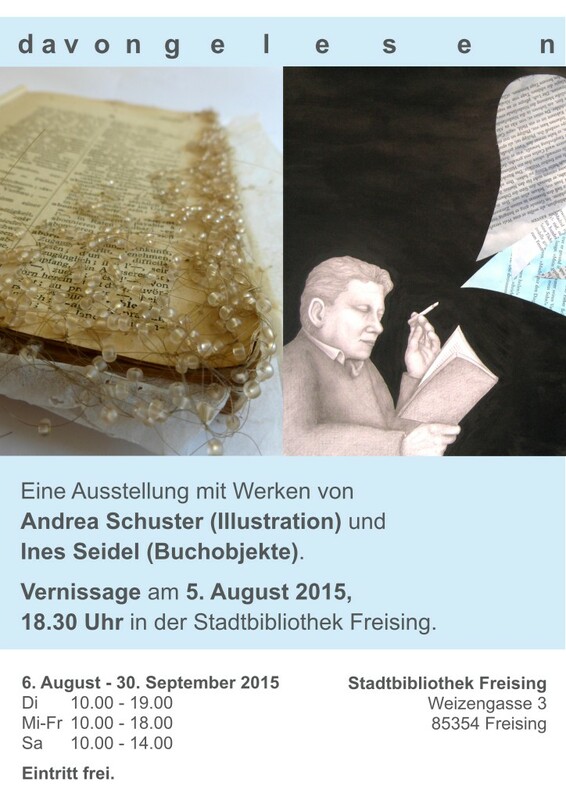 Many thanks to Künstlervereinigung Dachau for an exciting exhibition in a special location. I am fascinated by the language of the human budy. Through drawing I repeat the gestures and the expression of the model in my own voice – sometimes hesitant and loose, sometimes energetic. Every technique adds a new dialect and subtly alters the message. 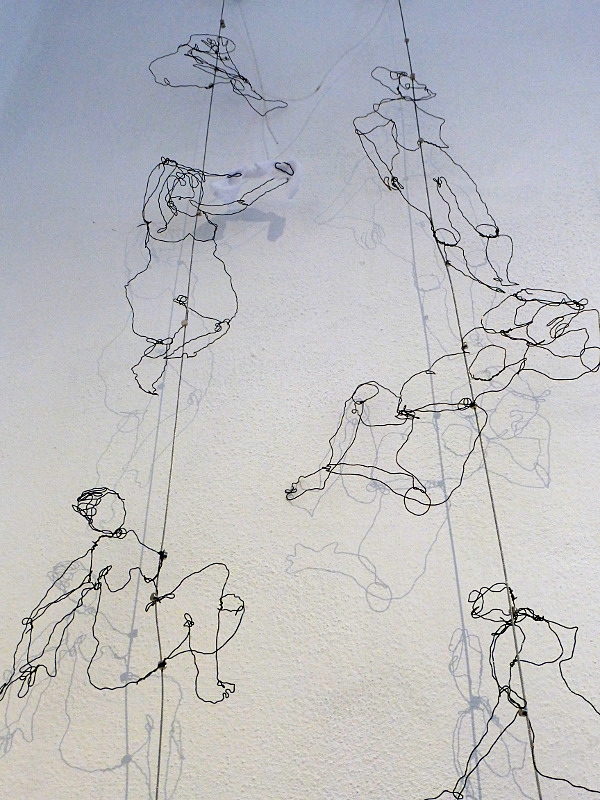 For the group exhibition “naked lines” I used (among other media) wire and thread for drawing. 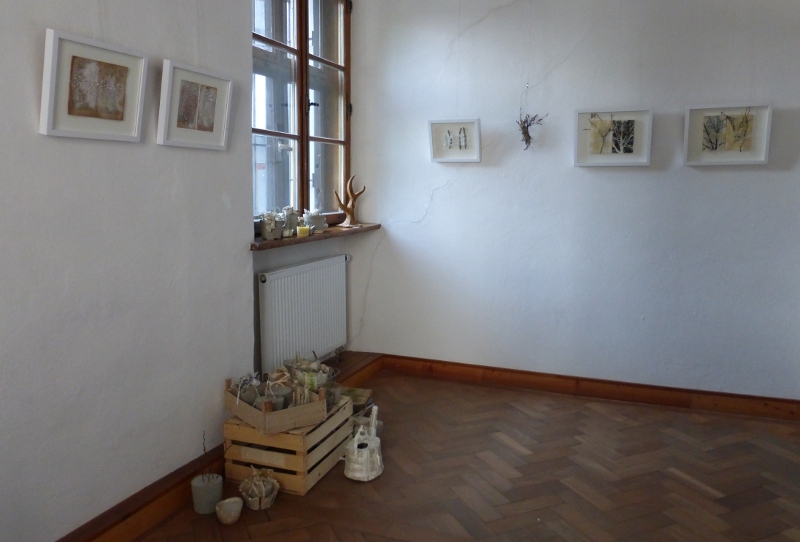 A bunch of thanks to the many visitors and to the eleven other artists who contributed to an exciting exhibition! On the 15th of December the Procreate Project will launch in London. 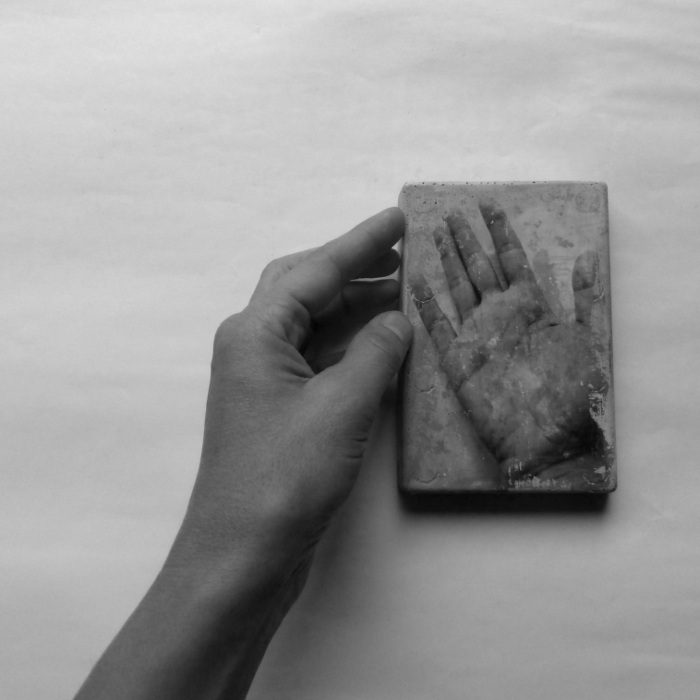 The initiative has been founded to support and network with international mother artists. 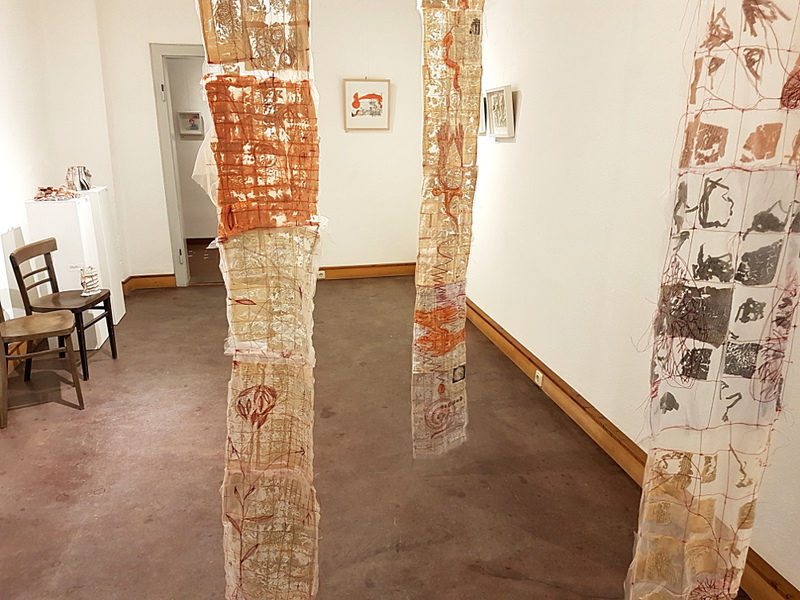 More than 100 artists contribute to the launching exhibition at the Women’s Art Library at the University of London. 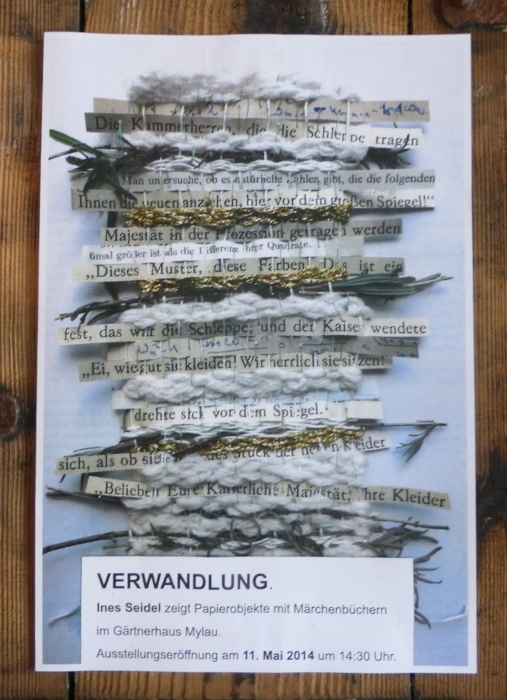 Until 18th of December the works are shown in specially made photozines. I am represented with the photo series “Our Baby”. Our Baby. 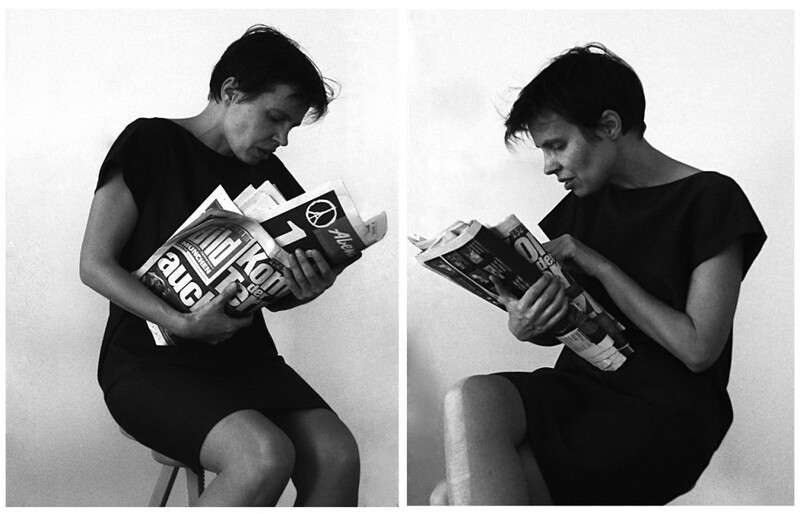 self with news. photography. 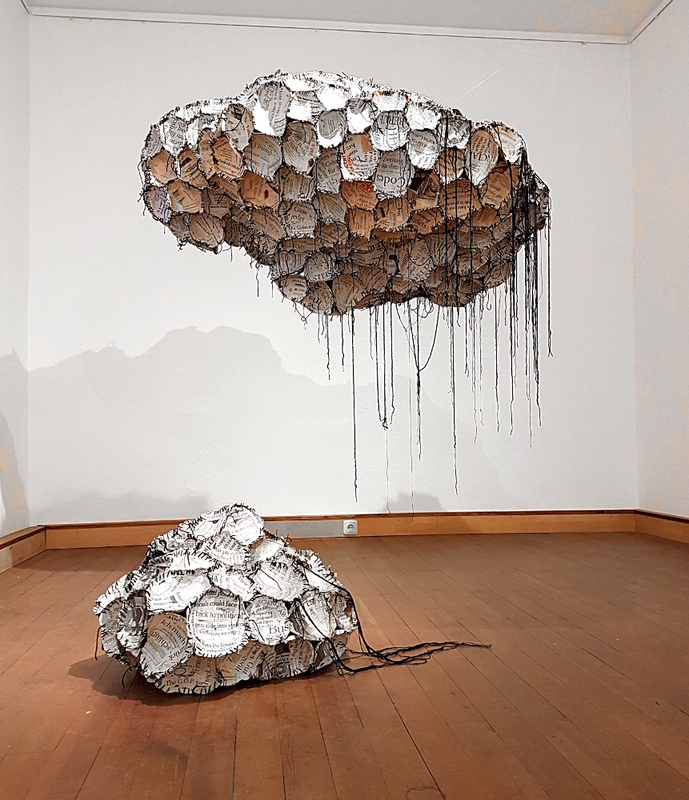 The five piece installation “One” will also be shown during the launch event. It is currently on the way to London. ONE. 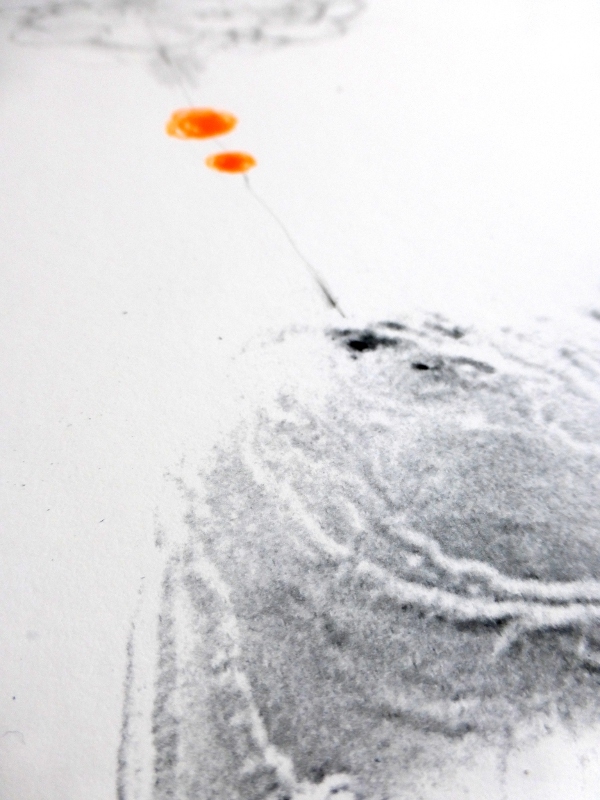 pigment transfer, wire, ink on concrete. I am the shell and the crack. I am the nest. I leave the nest. I am in pieces that do not rhyme. Last preparations for the coming exhibition between solid and fleeting. 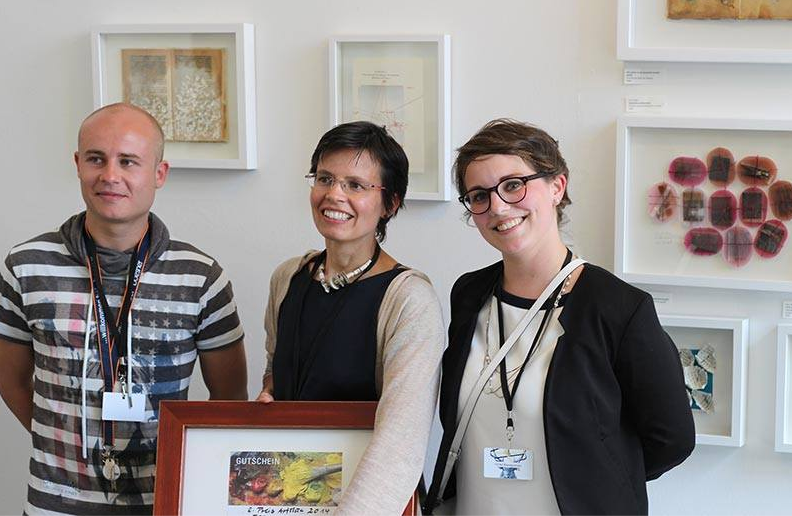 Together with the painter Brigitte Yoshiko Pruchnow I will show recent works at Kulturpavillon am Romanplatz, Munich. 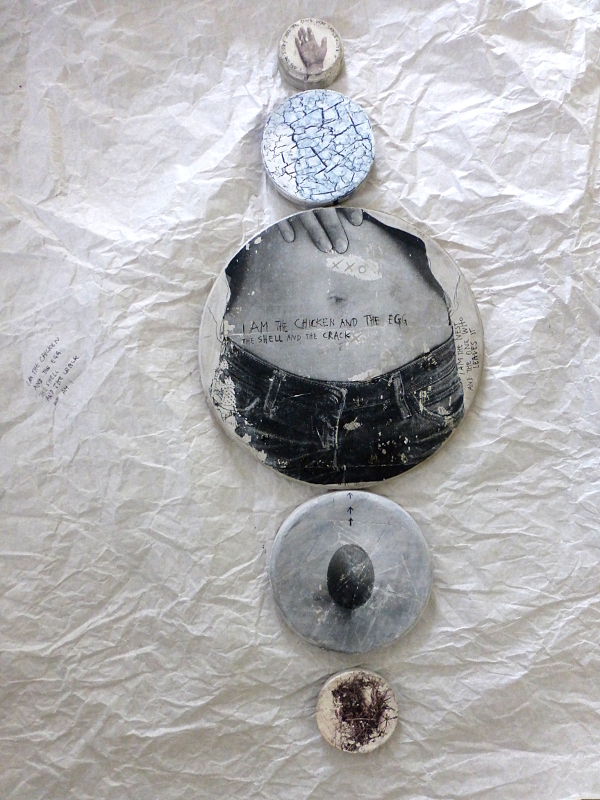 I am curious to see what will emerge in the dialogue between my photography and objects and Brigitte’s paintings. I am also looking forward to alter the space of the former library. The opening takes place on June, 18 at 6.30 pm. 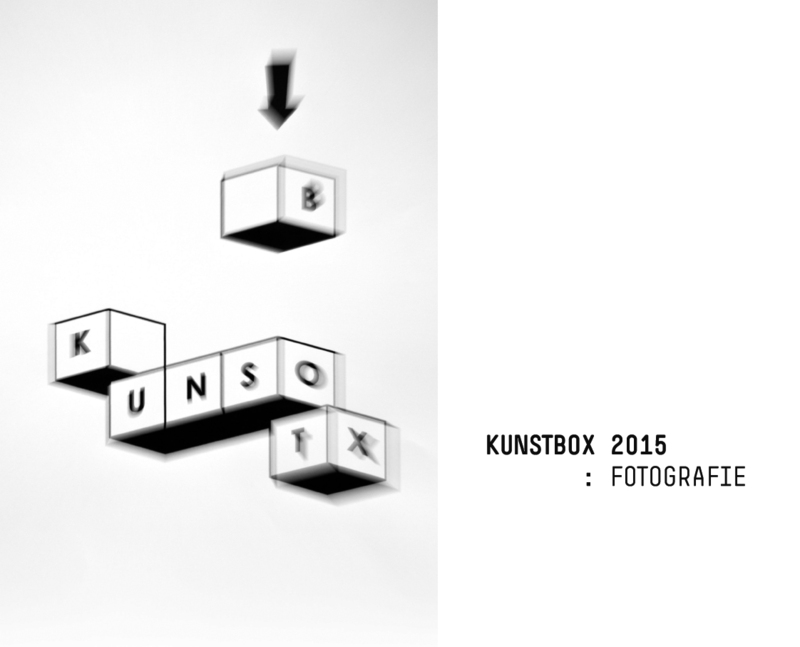 The exhibition is open on 19th and 20th of June from 1 to 6 p.m. and on 21st from 11 a.m to 5 p.m.
As one of 34 selected artists I will be present at the Dortmund artfair Kunstbox from April 25 to 26. This year the focus of the fair is on photography. Looking forward to Dortmund! 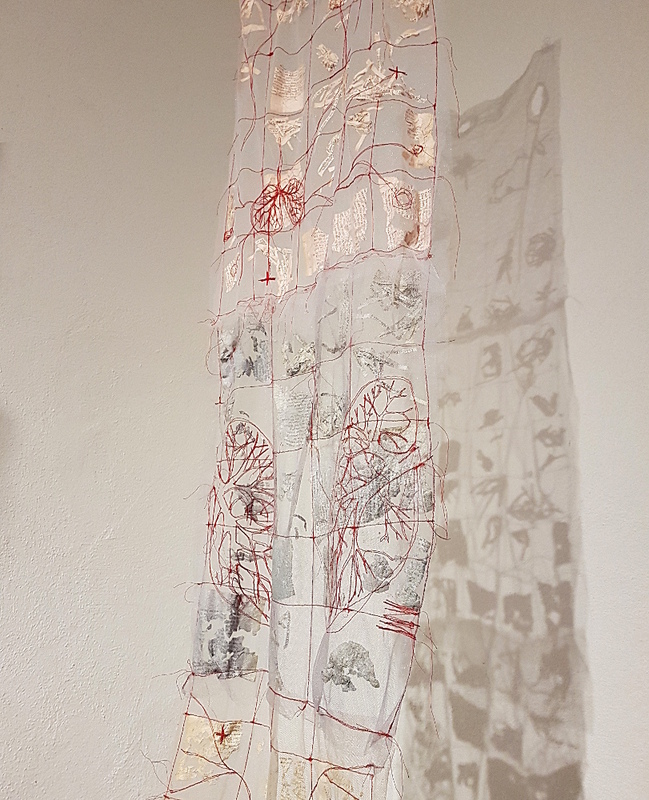 Yesterday we were installing our works and today they can already be seen: “Green Stuff” opens the doors of the Old Jailhouse in Freising. 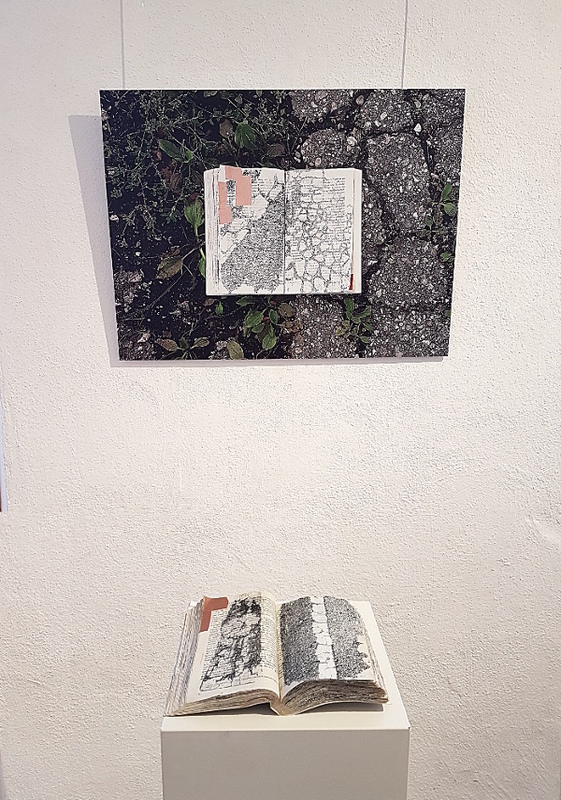 My concrete-paper-pots have their premiere and I am also showing my book installation “the story goes on” for the first time in public. 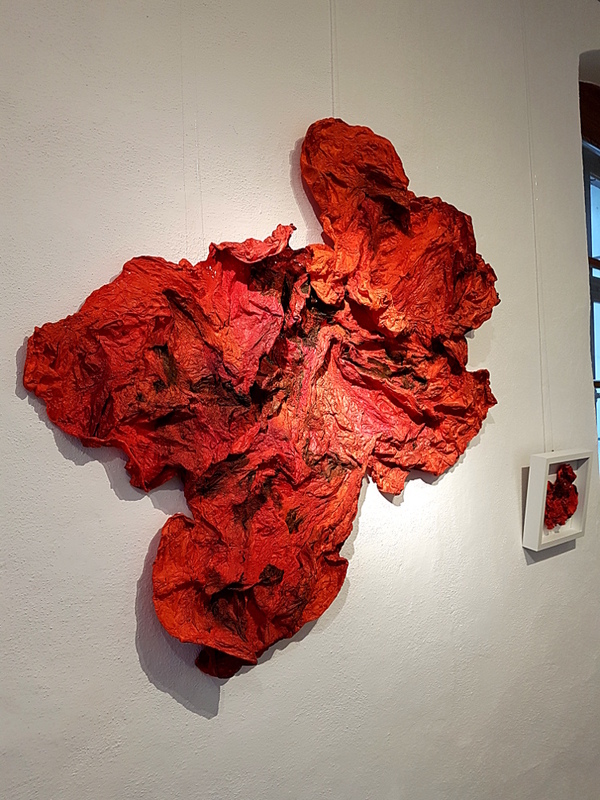 Other artists showing their works in the group exhibition are Andrea Schuster (Illustration), Dietrich Ebersbach (textile collage), Gabriele Strehlau (painting), Leander Dolisni- Wennige (sculpture), Marion Birkholz (Mixed Media) und Reinhold Adscheid (photography). 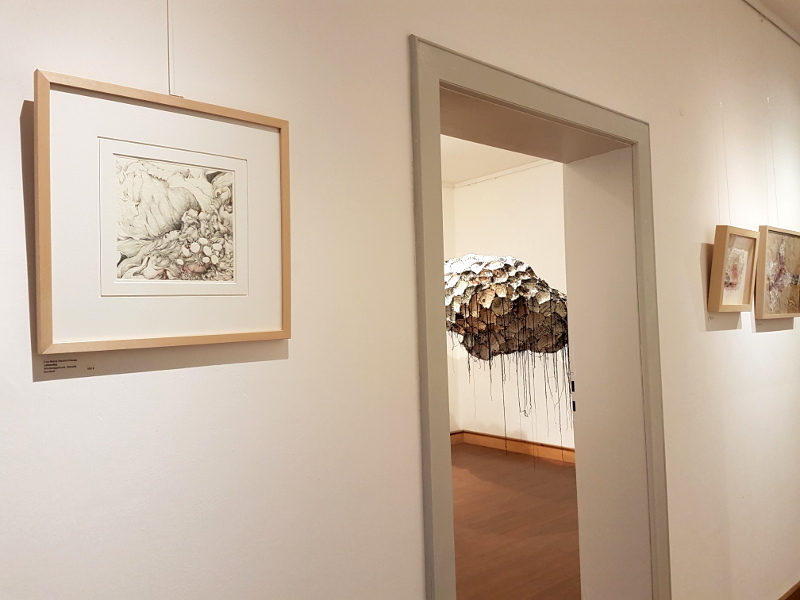 The exhibition rooms on the first floor are open on Wed and Thur from 2 to 6 p.m., on Friday from 4 to 8 p.m. and on the weekend from 11 a.m. to 7 p.m. One of us artists will always be present. The vernissage takes place on Friday the 13th of June at 6 p.m.
On Sunday the 11th of May my exhibition “transfiguration” will be opened. 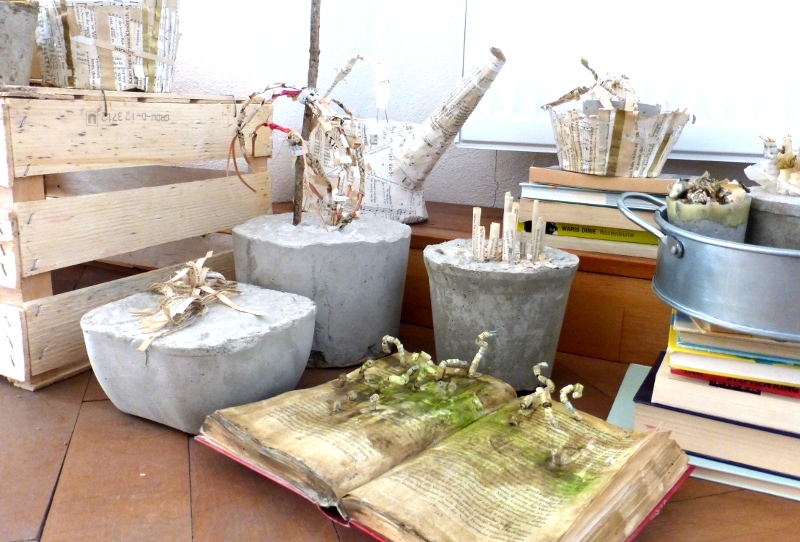 have installed my fairy tale objects just yesterday at the enchanted gardener’s house in Mylau, Vogtland. 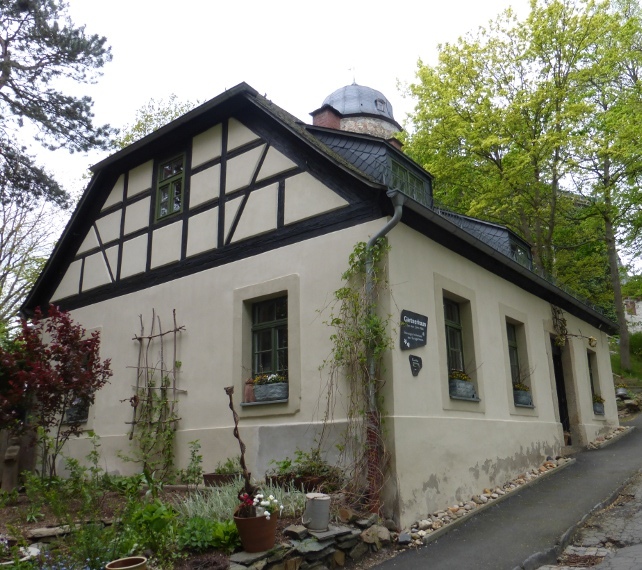 The cottage from 1826 was home of the groundkeeper and gardener of the Mylau castle. Ten years ago the Fischers bought the rundown building and renovated it with passion and a taste for art. They turned the house into a cosy place for cultural events and private parties. 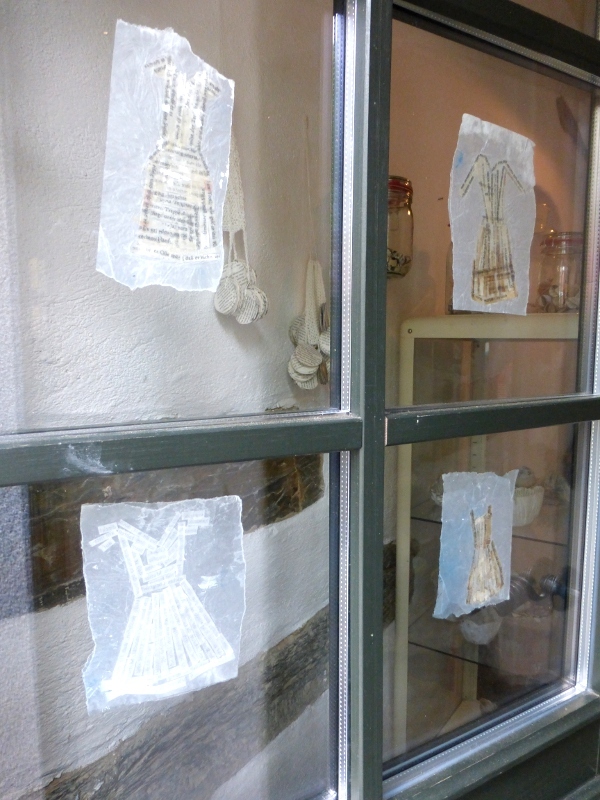 I am happy to show my paper objects in these rooms that are so full of history and character. 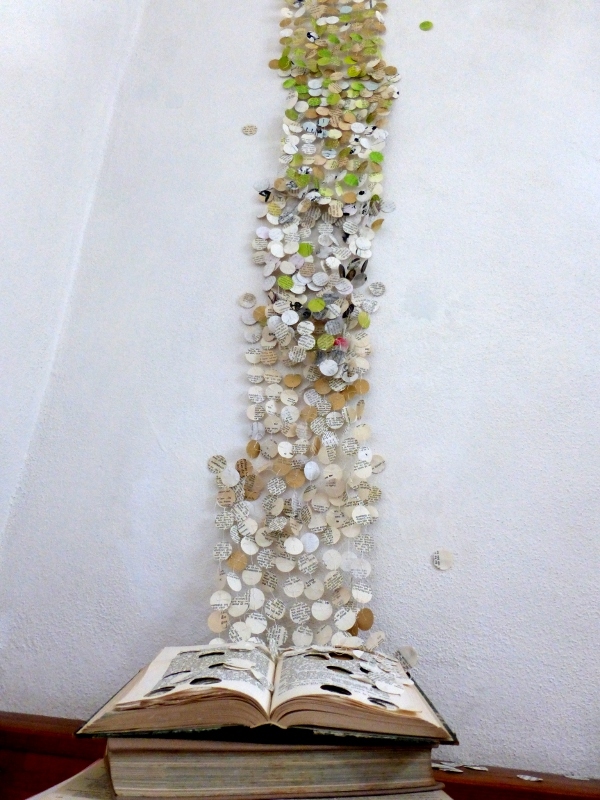 My collages and installations have been made with fairy tale books, twigs, wool and packaging cardboard. They deal with the question how the Fabulous and the Magical can be conserved and transformed if there were no more fairy tale books. You can wonder about this every coming Sunday afternoon, when the Fischers open the door of the gardener’s house and serve coffee and cake with art.